Free interferometry test: We can supply you with an interferometric test protocol to accompany your new apochromat if required. Please refer to our consultants. 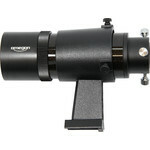 Delivery includes Omegon 3'' field flattener with M48 thread! 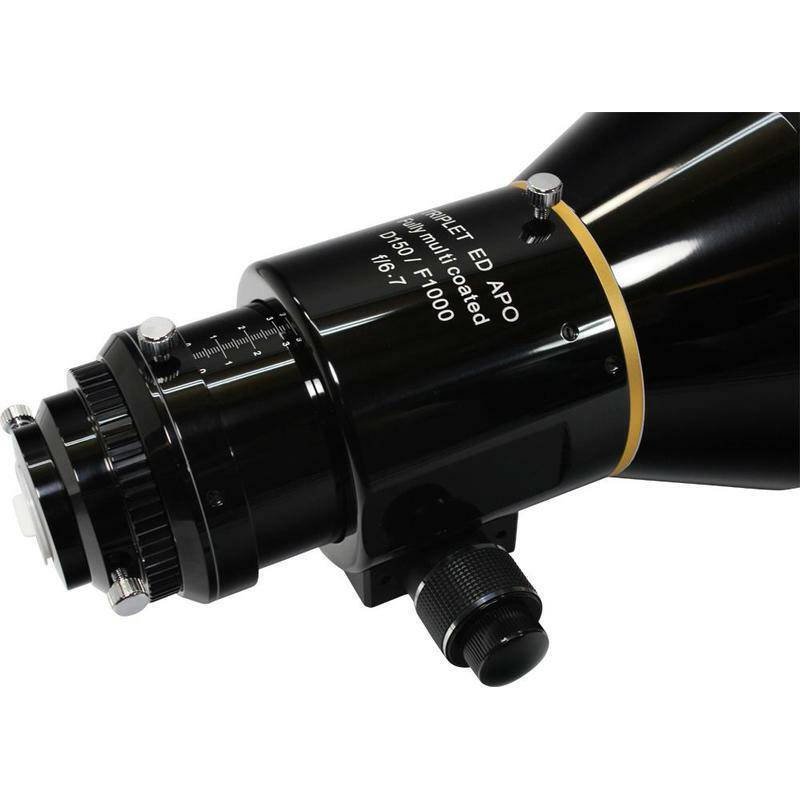 The Omegon ED apo refractor has outstanding optics, a thoroughly though-out design and high-quality mechanical components. This very special telescope provides astrophotographers, visual observers or nature watchers with a unique source of pleasure when observing starry skies or nature watching. Pin-sharp stars, right out to the edge of the field of view, can be just as taken for granted as the outstanding mechanical precision. 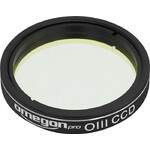 Omegon OD Triplet apochromat objectives are manufactured from a combination of three lenses. 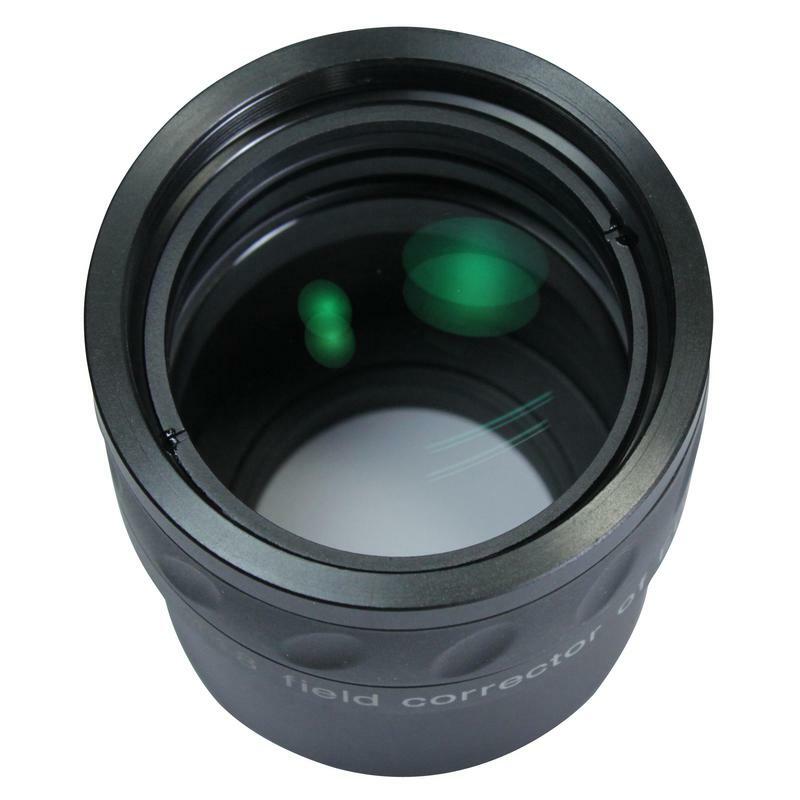 The outstanding Ohara FPL-53 type glass is employed for this, providing superb correction for these refractors. 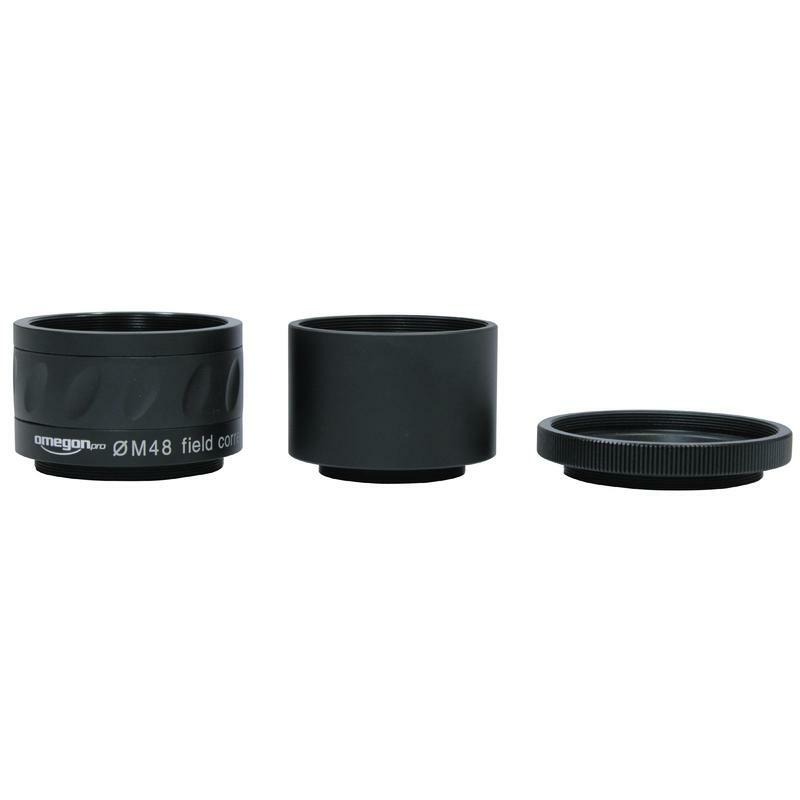 In addition, this lens combination provides very high contrast and a flat image field. 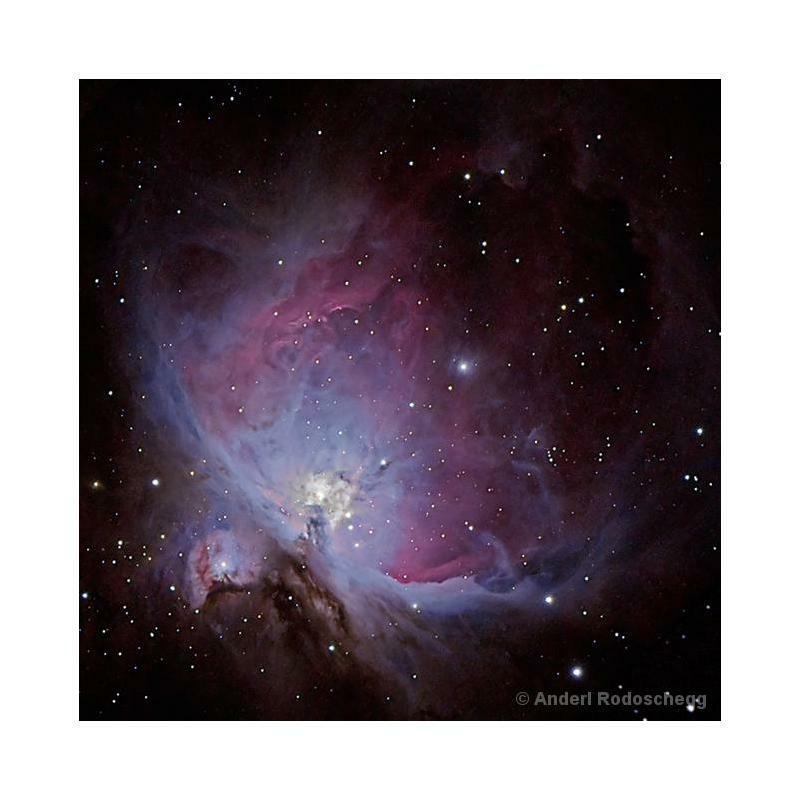 For visual observing and also with astrophotography you will discover a wealth of detail and tremendously clear image reproduction. When observing the lunar limb or bright of stars at higher or lower magnifications you will see no colour fringing. The image definition with apos is substantially superior to that of mirror systems as they have no central obstruction with its associated degradation of the intensity distribution in the Airy disk. 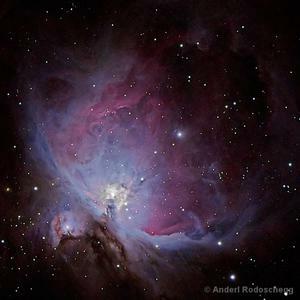 Particularly when observing small contrast differences, a refractor is unbeatable. 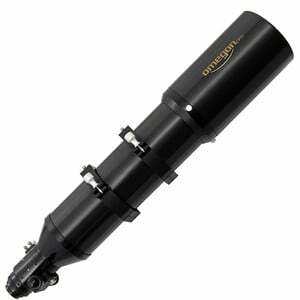 Many amateur astronomers want a refractor which is easily to collimate. 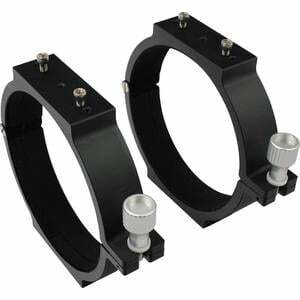 We have, of course, considered this: The objective lens cell can be precisely adjusted via thrust and tensing screws. 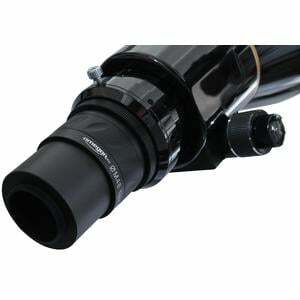 The telescope is equipped with a Crayford style focuser. It belongs to a new generation of drawtubes, which are patent pending. Absolute precision and enormous load bearing capacity are the main advantages of this focuser. 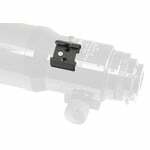 It can carry accessories of even up to 10kg in weight by the use of an additional locking screw. Even under the application of extreme force, the drawtube will not move even by a millimetre: Once you have found focus, it will not change, even if you move where the telescope points to in the sky. A 1:11 reduction ratio provides you with fine adjustment when focusing, allowing even more precision than with most telescopes. Do you use a full format chip for astrophotography, or do you intend doing this in the future? Even with full format cameras, images of objects are recorded free of vignetting. 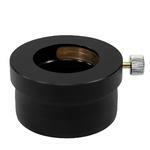 The complete focuser is freely rotatable: loosen the locking screw and the unit can be rotated through a full 360°. 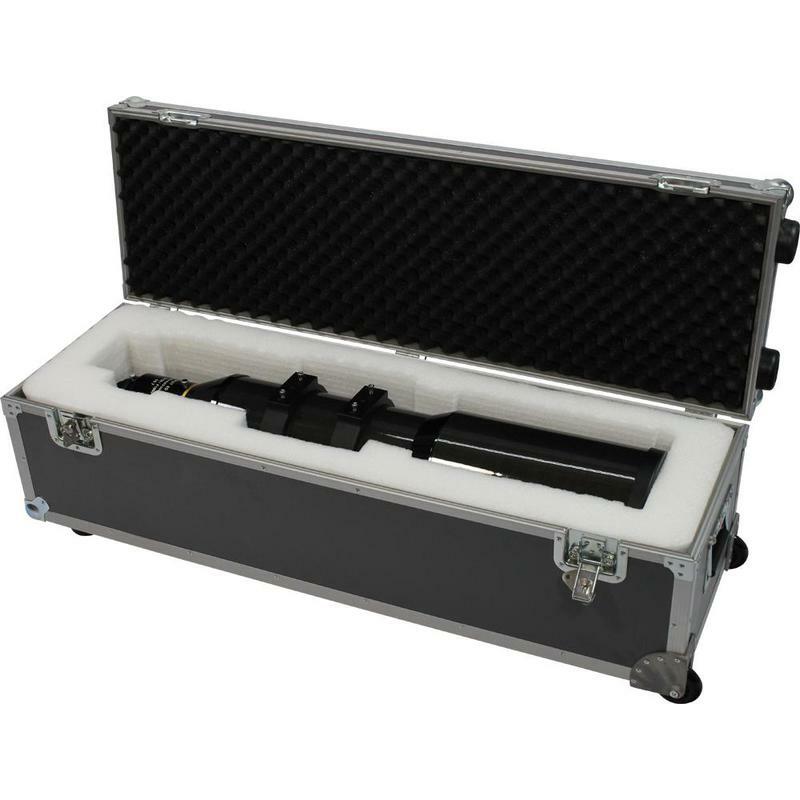 The aluminium case provided is ideal for storing your valuable optics. Extremely robust, with carrying handles and metal fittings, it can withstand some shaking around with no problem. The interior features accurately cut out foam mouldings which keep the telescope tube in exactly the same condition as when you last stored it there. Tube rings for mounting onto equatorial mounts. 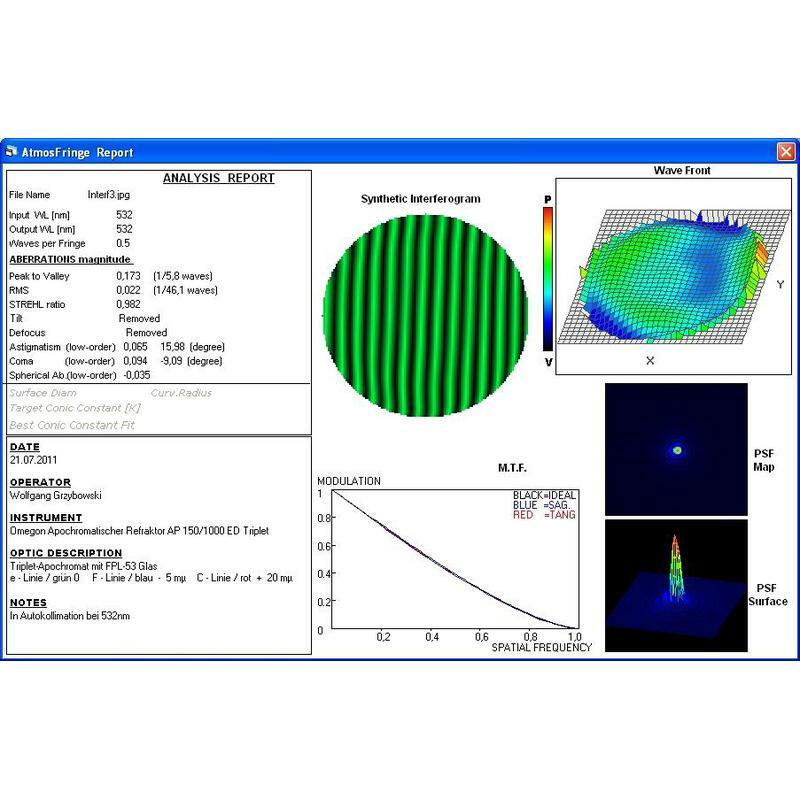 Example of an interferometry test protocol. 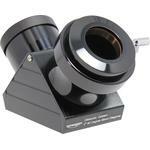 Eyepiece adaptor 1,25" - 3"
Omegon Star diagonal with 99% reflection, 2"